An Inspector Gadget marathon is coming to Twitch where viewers will be able to interact with the show’s co-creator and see what the Inspector’s gadgets would look like in real life. Twitch announced the upcoming stream of the animated show on the Twitch Blog where it said every episode from the first season of Inspector Gadget will be shown on Twitch over the course of a week. Starting on December 17th at 10 a.m. PT and ending on December 24th, the TwitchPresents channel will stream 5 hours of the show every day. That block of episodes will repeat throughout the day so that anyone who misses the initial stream can catch the other episodes before the stream moves onto the next day of content. This Twitch marathon will also feature Andy Heyward, the co-creator of Inspector Gadget, who will be chatting with Twitch viewers to answer any questions they might have about the show and the gadgets the Inspector wields. Heyward will only be on the Twitch chat during certain times though with the show’s creator appearing during the first three days of the stream from 10:15-11:15 a.m. PT and one more day afterwards on December 21st from 10:30-11:30 a.m. PT. Viewers will also get to see some of Inspector Gadget’s most useful gadgets recreated in real life, too. Adam Savage, who many will remember from Mythbusters, along with members of his Tested team will be creating these gadgets while streaming the live prop builds from Tested’s Twitch channel. The group will take 3D prints of some of the Inspector’s gadgets and turn them into finished pieces. “The team at Tested.com is going to be building real-world versions of some of his gadgets LIVE on twitch.tv/tested and challenge some of Twitch’s best and brightest builders with the task of making the Gadget Mobile,” Twitch said about the collaboration with Tested and Savage. 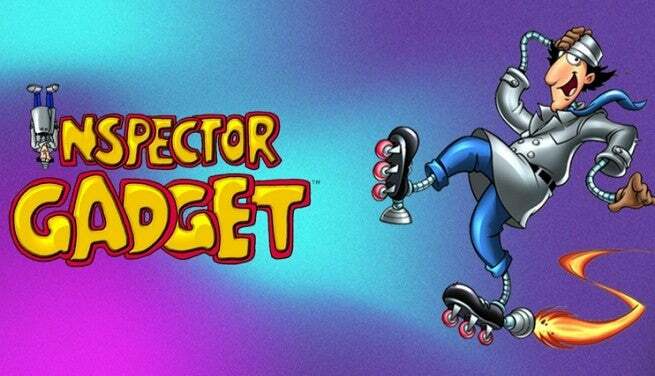 Twitch’s Inspector Gadget marathon is scheduled to start streaming on December 17th.